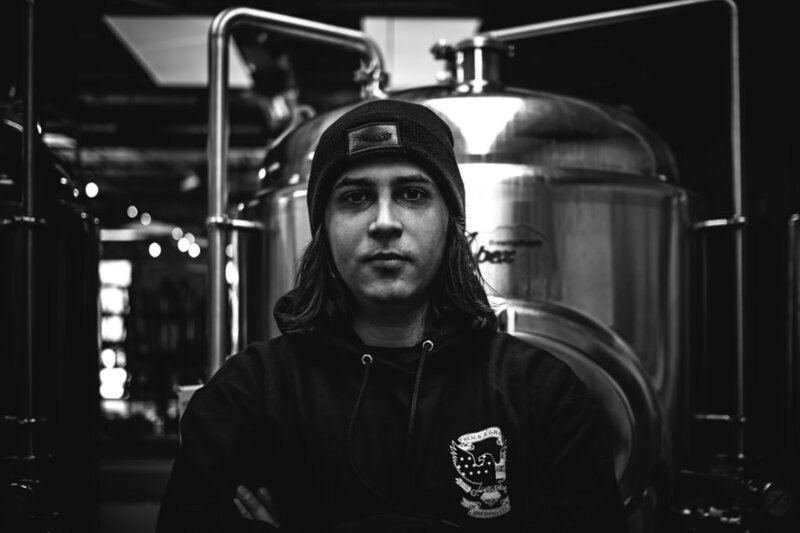 Our Staff - BLACK & GRAY BREWING CO.
Chris (aka Long Hair Chris) is our jack of all trades. You will see him behind the bar pouring beer, and working in the brewery making it. Chris is a Siebel trained brewer who worked out on the east coast in a brewery for three years before moving back to Chicago just at the right time to join our brand new little brewery in East Dundee. Anthony is our baby beertender (literally, he is Chris and Teresa's son) and has already shown much promise in his beer pouring skills. 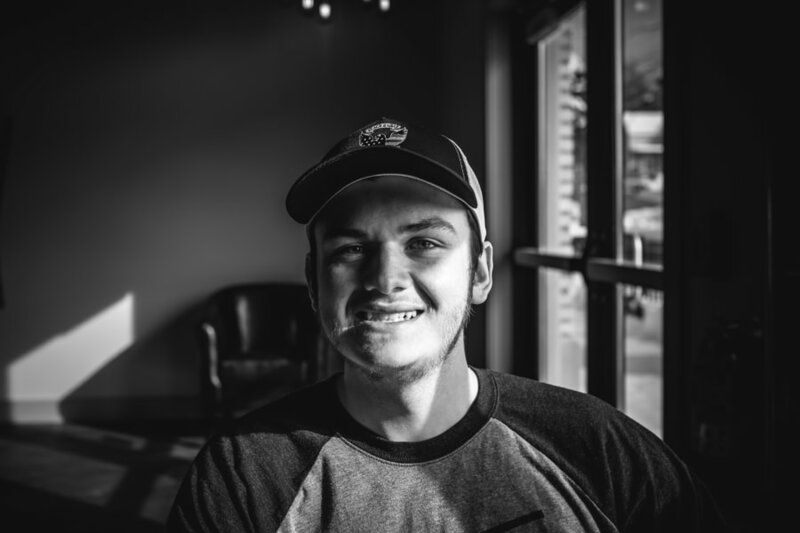 Since he is related to the owners and can't escape them, he also finds himself with many of the handyman tasks around the bar and takes care of a lot of things behind the scenes to help the taproom run smoothly. Amanda is one of our beertenders and a true beer expert! 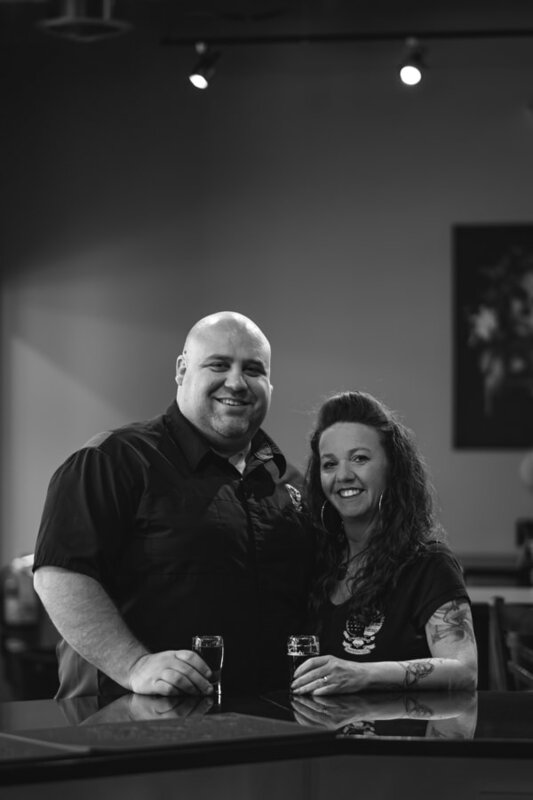 She is very active in the craft beer scene and is a Cicerone Certified Beer Server. She is hard at work at becoming a full fledged Cicerone and when she's not pouring beer, she is pouring over books about beer, studying for the big test. Troy decided the best was to unwind from his day job in the financial industry was to pour beer at Black & Gray Brewing in the evenings. He's been running around with Chris and Teresa since we all played Kick-the Can in the neighborhood as kids. If you are looking to come in and have a beer and talk 401k's, Troy is your guy! Rick is our Big Papi behind the bar. He recently retired from a long and successful career as a firefighter and we were thrilled to snag him for one of our beertender positions. The only thing Ben does better than pour beer, is take pictures! Our resident photographer and all around excellent dude, Ben has all the attributes of a great Beertender--knowledgeable, friendly, and easy going. We love having him here! Chris and Teresa are your humble hosts. Teresa is our CEO and front-of-the-house manager. She has an extensive background in corporate and private business, as well as law. She can be found, most nights, hanging in the taproom, making sure our guests--and our beertenders--are well taken care of. Chris (aka No Hair Chris) runs the brewery and makes all of the beer with the help of Long Hair Chris. A self-taught brewer, his goal is to make beer that is accessible to a wide variety of beer drinkers. While not in the taproom as often, you can often watch him through the window to the brewery as he creates the next beer you are going to love.